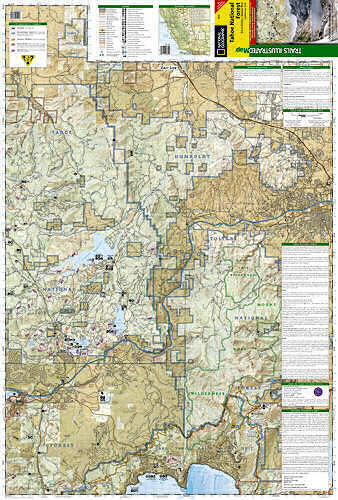 Trails Illustrated Tahoe National Forest Sierra Buttes/ Donner P [ti805] - $9.95 : Trail Explorers Outpost, Keeping the Adventure Alive! 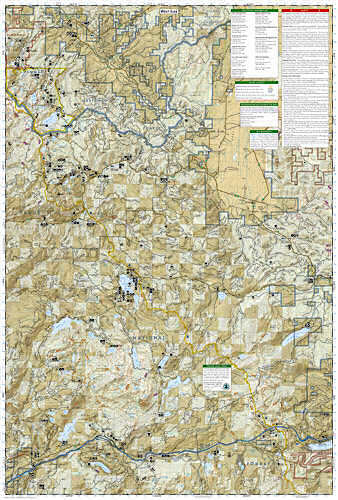 This Trails Illustrated topographical map is the most comprehensive and complete recreational map for the Sierra Buttes and Donner Pass area of the Tahoe National Forest. This map shows all trails, campsites, and recreational features. Mount Rose Wilderness, Pacific Crest National Scenic Trial, Yuba Pass, Lakes Basin, Highway 49 Corridor, Jackson Meadows Rec. Area, Mt Lola, Lake Spaulding, Donner Lake Hwy 89, Independence Lake, Stampede, Prosser and Boca Reservoirs. Cities/Towns: Reno, Truckee, Sierraville, Sierra City. Other highlights: Donner National Scenic Byway, Donner Memorial State Park, Martis Creek Lake Rec. Area. All data is updated to reflect road closings, new trails, and campground relocation. Printed on waterproof, tear-resistant material with a plastic coating that offers supreme durability for you next outdoor adventure.